Celebrated for his boundless energy, the 88-year old Argentinian artist Julio Le Parc is currently exhibiting at both Galerie Perrotin, New York and the Perez Art Museum, Miami. Internationally-known for his perceptually illusory paintings, sculptures, and immersive installations, the artist’s innovative artwork continues to capture the imagination of a cutting-edge, contemporary audience. And in anticipation of this being Le Parc’s inaugural American solo museum show, guest curator Estrallita B Brodsky amassed more than 100 works of art from the period after the artist moved to Paris in 1958 to escape the anonymity of Argentina. Le Parc has always sought to make art more democratic as he continues to engage and empower the viewer, and this historic retrospective Form into Action succeeds in sensitively tracing the progress of his artistic journey across a lifetime of experimentation. 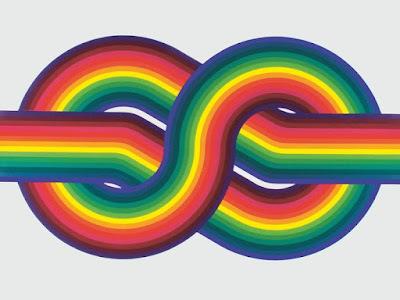 From the moment you read the numerous health warnings at the exhibition’s entrance, there is no doubt that Julio Le Parc’s retrospective will be an immersive experience. In fact, in a recent New York Times interview, the Argentine described how, “I have never really been viewed as an artist…I create different experiences and I do research, about form and space and light.” For an artist who won the Grand Prize in Painting at the Venice Biennale, both Le Parc’s chosen mediums and materials vary immensely. Indeed, his career had steadier beginnings with acrylic-on-canvas or gouache-on-paper colour paintings such as Colour Project n° 5 (1959) and The Long March, Step n° 3 (1974). Likewise, the Alchemies series juxtaposed brightly-coloured marks over a stark background reflecting elements of pointilism, and cementing his reputation as an avant-garde painter. However, it’s always been Le Parc's contortions of light using motors and metal in his kinetic installations, which really fascinate me. Reminiscent of Pipilotti Rist’s Pixel Forest at The New Museum in New York, works like Continuous Light Cylinder (1962/2013) capture the audience’s imagination with their hypnotic effects. As a blend of stainless steel, painting wood, motor, metal disk and light, I found this piece to be his most beautiful work for its meditative properties. For both Rist and Le Parc, the key to experiencing their work is participation, but I found that by both disorientating and altering his audience’s perspective, Le Parc actually has a calming effect on the viewer. At first glance pieces like Continuous Light with Forms in Contortion (1966-2012) seemed overly mechanical, impenetrable, but then you look closely and realise that it’s just the manipulation of light that gives the effect of complexity and really Le Parc is simply moving sheets of metal so that light bounces from the surface creating interesting shadows and contrasts. As with every 21st-century blockbuster exhibition, there is always a title work that invites a different sort of audience participation - that favoured by the Instagram generation. 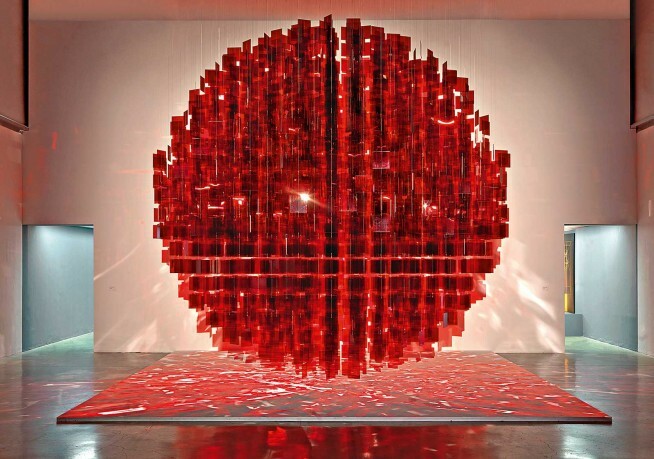 For example, Red Sphere 2001-12 is made from plexiglas and nylon and comes from Le Parc’s most recent body of work favouring monumental suspended arrangements. Unlike Alexander Calder, it’s not simply a hanging sculpture, but gives the illusion of being both a suspended solid sphere and a shifting light mobile at once. Crucially, its bright colour palette, monumental scale and neutral setting present the perfect opportunity for a successful Instagram post. And although, I found the visual effect of light appearing through curtains - and resembling running water - in Le Parc’s earlier work Visualised Vertical Light 1978/2016 far more evocative, I was guilty of the same charge. As we’ve known for a long time in Europe - following his critically-acclaimed solo exhibitions at the Serpentine Gallery in London and Palais de Tokyo in Paris - Le Parc has continually sought to break down the boundaries between the art and viewer. And now the Perez Museum has successfully inspired the devotion of an American audience. 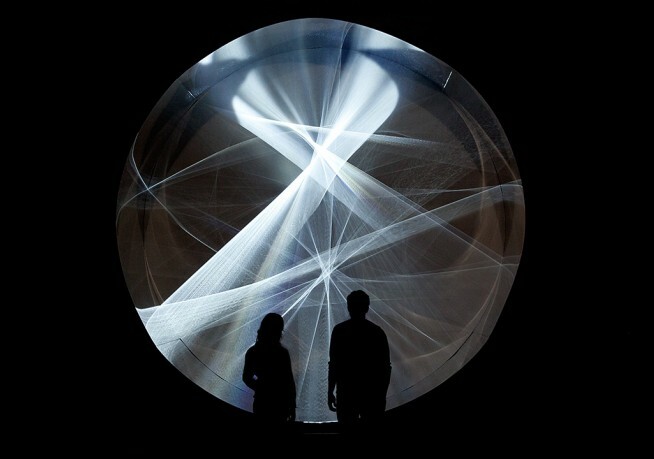 In truth, very few retrospectives can simultaneously offer such diverse experiences as exploring a labyrinth across three rooms as well as viewing colour paintings, monumental sculpture and of course immersive light installations, but this is the place for a sensory experience like no other. Favouring collaborative experimentation with a wide range of mediums, Le Parc has the unique ability to surpasses his audience’s imagination and is that not the true value of art? 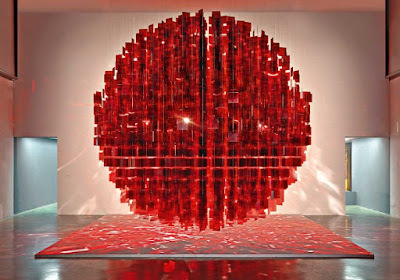 I would urge you to see Julio Le Parc: Form into Action at Perez Art Museum, Miami and decide for yourself.